New to quilting? Join Margie for our beginner’s class starting Thursday, January 24nd from 2 pm to 5 pm OR from 6 pm to 9 pm. 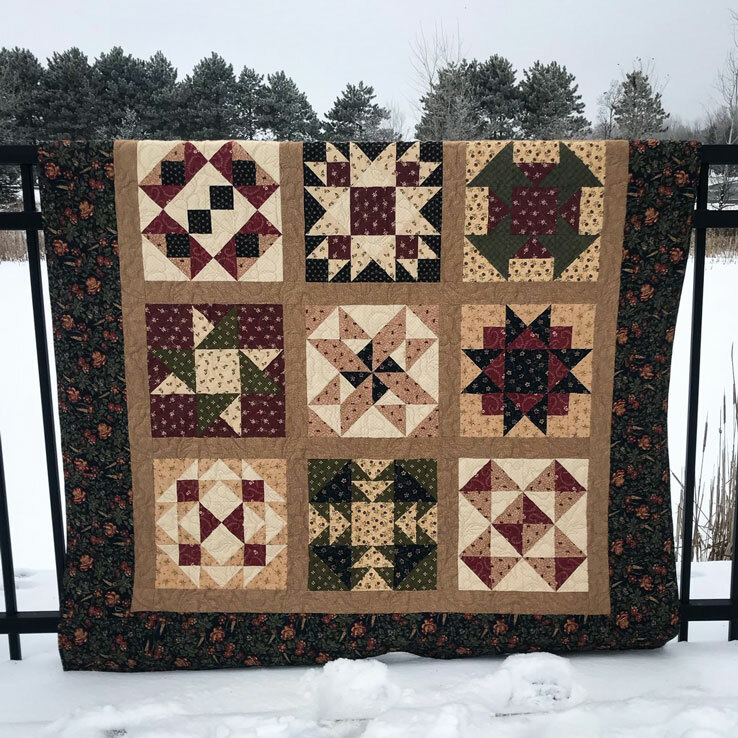 You will be making Margie’s Magnificent Beginner’s Quilt over the course of 6 weeks, 3 hours for each class, totaling 21 hours of instruction. The class cost is $75 (kit sold separately). Call 763.633.4669 or stop in today to sign up!